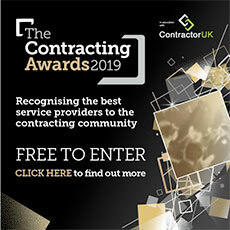 Many in the contracting sector who I know need not reminding, but for the avoidance of doubt be aware that HMRC’s consultation on IR35 reform in the private sector closes this Friday, writes Les Berridge, an experienced IT recruiter who works for Networkers and who is also the vice chair of the REC’s Technology Executive Committee. Almost needless to say, this is an important issue for contractors, clients, employment businesses and most of all perhaps, for the UK economy. None of these factors apply to permanent employees. Projects are being delayed or scrapped. The consultation closing this Friday morning at 11.45 am seeks to address the imbalance between the public and private sectors (which has in my view been caused by HMRC), with the ‘lead option’ being to apply the same rule to the private sector. The first problem with this is that private sector clients just do not have the legal nor the commercial understanding to make these decisions. They will not be aware of the detail of the law, nor of any case law. Secondly, there are many factors other than the assignment itself which are relevant to an inside/outside determination. For example, does the contractor have badges of business; are they doing other work, do they have PI insurance? If a client wants to conduct due process in making a decision, what can they do? Well, they can look at precedents and HMRC guidance. I myself attended a couple of OTS meetings where the task was to make an inside/outside determination on some hypothetical cases. Even though the people round the table were true IR35 experts, there was a fair bit of disagreement and HMRC only published some of the outcomes, which are still on their website, although marked as archived (see p25 onwards). I think the point here is, if a group of experts can’t agree, what chance do clients have of being right all the time? Another option for those who have to decide status of workers they engage would be to use HMRC’s CEST (Check Employment Status for Tax) tool, which is on the Revenue’s website. This tool promises to give an inside/outside determination in response to answering some questions about an assignment. However, many independent commentators feel that it is flawed in concept, partly because it asks unsophisticated questions when of course every contractor’s situation is almost always different. Also HMRC freely admit that CEST makes no provision for mutuality of obligation, an IR35 status factor which has been considered very important by judges and tribunals. Our agency’s legal department answered the questions in-line with some recent employment status cases (such as the Uber case), and the tool provided the wrong result each time. The inevitable result of rushing through the change the government is proposing as its ‘lead option’ would be questionable blanket IR35 decisions, plainly wrong decisions and costly legal challenges. Our country’s private sector is in competition both domestically and internationally. Without meaning any disrespect at all to our valued public sector, it’s fair to say that the private sector just cannot put off deadlines nor abandon projects as easily as the public sector can. I mentioned the economy at the outset. Well, our contract workforce is a massive boon to the economy – it helps businesses keep agile, up-to-date and competitive by bringing in specialist skills at short notice. In the sector which I recruit, Technology, there is widespread use of contract staff. To make it harder to recruit such people at a time of full employment and skills shortages would surely be foolish. In addition, many of these businesses have an international footprint and given the increased risk, uncertainty of recruitment and probable increased cost on top of the uncertainty of Brexit, many clients are likely to re-think placing key projects and operations in the UK. So even if there was some merit in taking the public sector changes into the private sector, this move couldn’t have been timed much worse. The REC, the main trade association for the recruitment industry, known for their moderation in matters of government policy, is calling on the government to undertake a comprehensive post-implementation review of the public sector changes and an impact assessment for the private sector, so that these issues are fully captured before making any further changes. I think this two-fold recommendation is very sensible. Personally, I think that IR35 has always been a very subjective tax, open to interpretation and therefore dispute, and so has never realised the sort of returns initially predicted by HM Treasury. The solution is to scrap IR35. Once money is paid into a limited company, it can only be taken out as pay or dividends, so HMRC should look at making sure that the level of PAYE tax, national insurance, corporation tax and dividend taxes are set so that the advantage of working via a limited company is not too disproportionate to working PAYE. There is some good news I can share. I have attended a consultation meeting with HMRC and I am confident that they are aware of many of these problems and genuinely want to hear from interested parties with comments and suggestions. That’s why it’s so important that everyone, contractors, clients and agencies, contributes to the consultation, making your views heard before it’s too late for the IT contracting sector. And while you’re at it please, also write to your local MP and the chancellor of the exchequer, Philip Hammond -- even if it just to send them a link to this article. I urge you all to step forward if you’re involved in technology contracting in any way, shape or form; what’s proposed could have a bigger impact on our industry – and our economy -- than the very introduction of IR35 itself. Editor’s Note: The views expressed in this article are those of the author, Les Berridge, and they do not necessarily reflect the views of Networkers, or the REC.